Away out West, on the hundreds of millions of acres of public lands that most Americans take for granted (if they are aware of them at all), the trouble is deep, widespread, and won’t soon go away. Last winter’s armed takeover and 41-day occupation of Malheur National Wildlife Refuge in southeastern Oregon is a case in point. It was carried out by people who, if they hadn’t been white and dressed as cowboys, might have been called “terrorists” and treated as such. Their interpretation of the history of Western lands and of the judicial basis for federal land ownership—or at least that of their leaders, since they weren’t exactly a band of intellectuals—was only loosely linked to reality. At least some of them took inspiration from the notion that Jesus Christ wrote the Constitution (which would be news to the Deists, like James Madison, who were its actual authors) and that it prohibits federal ownership of any land excepting administrative sites within the United States—a contention that more than two centuries of American jurisprudence has emphatically repudiated. Greed can suffice to motivate those who lust for the real-estate bonanzas and resource giveaways that would result if states gained title to, say, the 264 million acres presently controlled by the Bureau of Land Management (BLM). General combativeness and hostility toward government also play their roles, and the usual right-wing mega-donors, including the Koch brothers, pump money into a bewildering array of agitator groups to help keep the fires of resentment burning. The louder the drum chant of crazy “facts” gets, the more the Alice-in-Wonderland logic behind them threatens to seize the popular narrative about America’s public lands—how they came to be and what they represent. This, in turn, prepares the way for the betrayal of one of the nation’s deepest traditions and for the loss of yet more of its natural heritage. Conversely, those who value American public lands have been laggard in articulating an updated vision for those open spaces appropriate to the 21st century and capable of expressing what the unsettled “fruited plains” and “purple mountain majesties” of the West still mean for our national experience and our capacity to meet the challenges of the future. Malheur was an odd place for white guys to make a stand in favor of “returning” federal land to its “rightful owners”—that is, themselves. The refuge was established in 1908 when Teddy Roosevelt declared a modest area of public domain to be a wildlife refuge. If anyone then occupied the land, it was members of the Burns Paiute tribe, not white settlers. In the 1930s, the refuge expanded when the government bought the bankrupt remnants of a former cattle baron’s empire. At the time, Malheur was its own mini-Dust Bowl. The purchase, which enlarged protection for once-fabulous wetlands supporting thousands of migrating birds, was essentially a bailout. 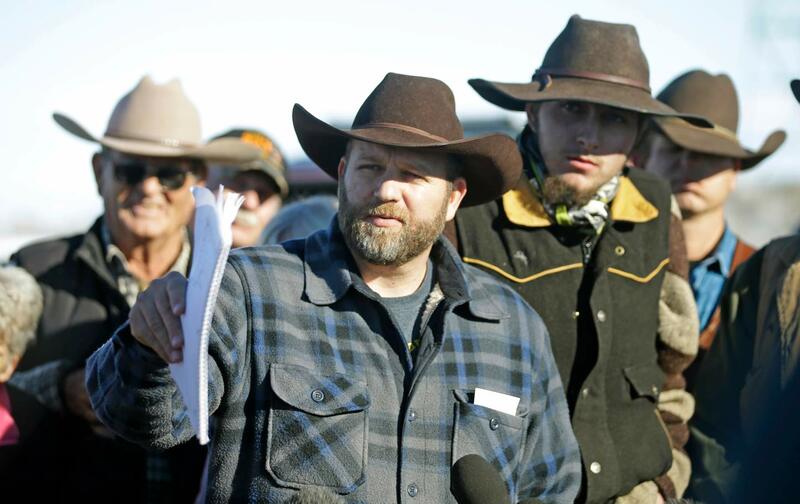 The people who joined the Bundys in the Malheur occupation were a strange lot. Few had any relationship to ranching or actual cows, aside from sitting down to eat a hamburger. Some were ex-military; others claimed to be (but weren’t). Quite a few had links to Tea Party groups or to “patriot” organizations including the Oath Keepers, the Three Percenters, and an assortment of other militia outfits. One described himself as “an old hippie from San Francisco,” jazzed by the excitement of the occupation and uncaring about its purposes. He also happened to be a convicted murderer (second degree)—of his father. Following the shooting death of LaVoy Finicum, the Malheur occupier who committed suicide-by-cop at a roadblock on January 26, the occupation unraveled. At last count, the Bundy brothers and 24 others had been arrested and charged with a laundry list of crimes, including conspiracy to prevent federal employees from carrying out their duties and destruction of public property. All but one or two of them are still in jail. A similar virus has infected several Western state legislatures, including those of Montana, Oregon, Wyoming, and Nevada. Representative Michele Fiore, who hovered at the fringes of the Malheur occupation, for instance, introduced a bill in the Nevada legislature to transfer federal lands there to state control, irrespective of federal wishes. Considered patently unconstitutional, it was quickly dismissed. A Nevada senate resolution calling on Washington, DC, to initiate action to transfer those lands received more serious consideration. The greatest vulnerability of America’s public lands is that the millions of their rightful owners scarcely know they exist. Ask the average New Yorker what the Bureau of Land Management is, and the odds are that you’ll get a blank stare. Even many people in the West, who live close to those public lands, have trouble differentiating the National Parks from the National Forests, though those two classes of land are administered for substantially different purposes by two different government departments, Interior and Agriculture. Yet most people agree that the wild open spaces of the nation’s grandest landscapes constitute a collective treasure. For all these reasons, the future of the nation’s 640 million acres of public lands deserves a more prominent place in our national discourse. The patterns of the past, emphasizing extractive, industrial uses of those lands, have long been in decline. An alternate path focused on restoration and biodiversity conservation has instead steadily gained traction, and indeed, its priorities—which include making room for endangered species—have inspired many of the objections of the Malheur occupiers.